Cylindrical (radial) style, cylindrical polymer aluminum capacitors based on the technique of wound aluminum electrolytic capacitors with solid electrolytes. They are available only with aluminum as anode material. 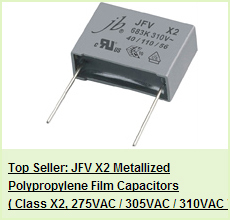 They are intended for larger capacitance values compared to rectangular polymer capacitors. 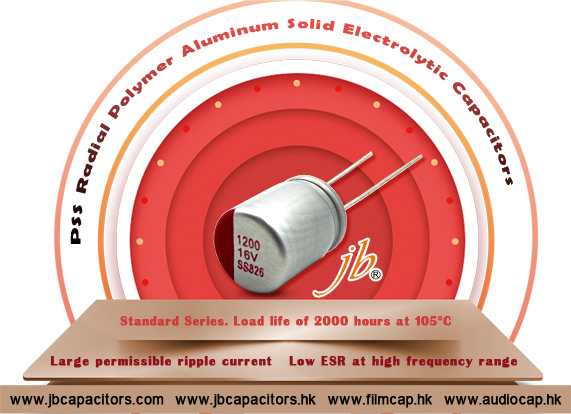 jb Capacitor Company offers a broad range of radial conductive polymer solid electrolytic capacitors, including Standard Solid Ecap, Ultra-low ESR Solid Ecap, Higher Capacitance Solid Ecap, Long Life Assurance Solid Ecap, High Voltage/Long Life Assurance Solid Ecap, High Voltage/High Reliability Solid Ecap series, which targeting general and specific market requirements. Typical features like longer life, low ESR and greater stability across a wide range of temperatures. 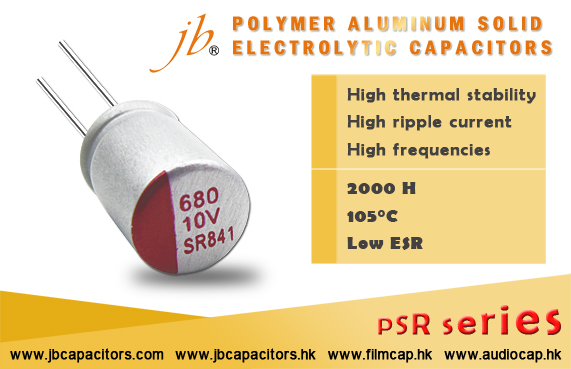 The PPS and PSR series highly conductive aluminum solid polymer electrolyte eliminates the risk of explosion from drying out and due to its low ESR properties, is able to withstand higher ripple currents during normal operation. Polymer capacitors can often be found on computer motherboards, especially higher quality ones, such as server motherboards. 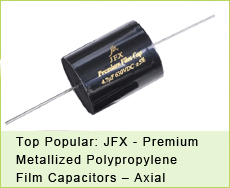 A polymer solid capacitor is a capacitor which uses solid polymers as the electrolyte. 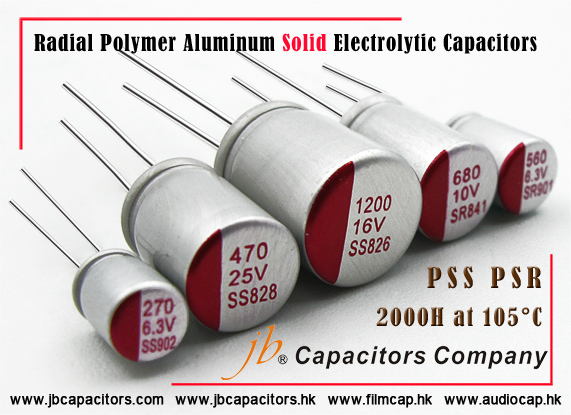 They use solid polymer electrolytes instead of liquid or gel electrolytes that are found in ordinary electrolytic capacitors. By using solid electrolyte, the electrolyte drying is completely avoided. 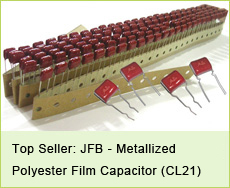 Electrolyte drying is one the factors that limit the life time of ordinary electrolytic capacitors. 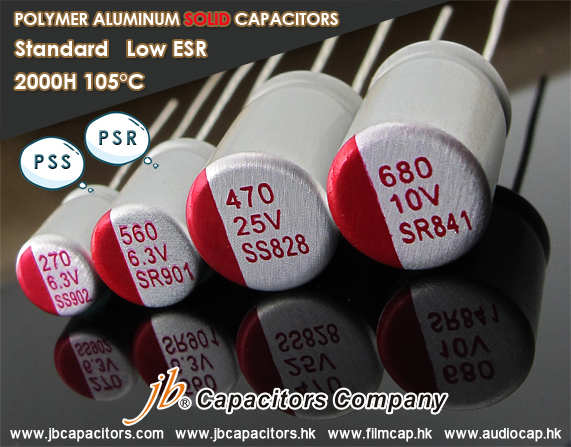 jb polymer solid electrolytic capacitors are characterized by particularly low internal equivalent series resistances (ESR) and high ripple current ratings. 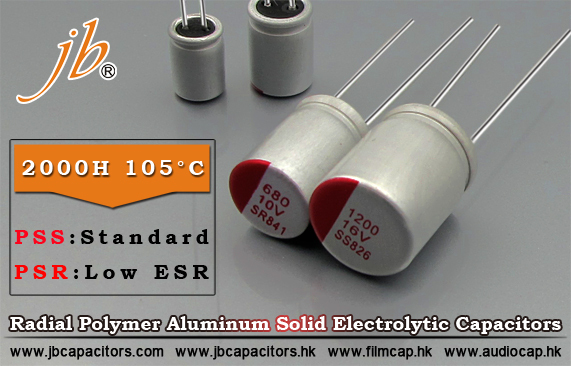 In most cases, polymer capacitors can be used as direct replacements for electrolytic capacitors, as long as the maximum rated voltage is not exceeded. 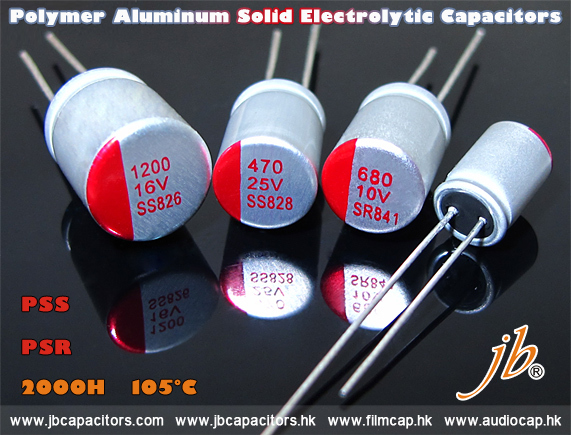 The maximum rated voltage of solid polymer capacitors is lower than the maximum voltage of classical electrolytic capacitors: usually up to 35 volts, although some polymer capacitors are made with maximum operating voltages of up to 100 volts DC. 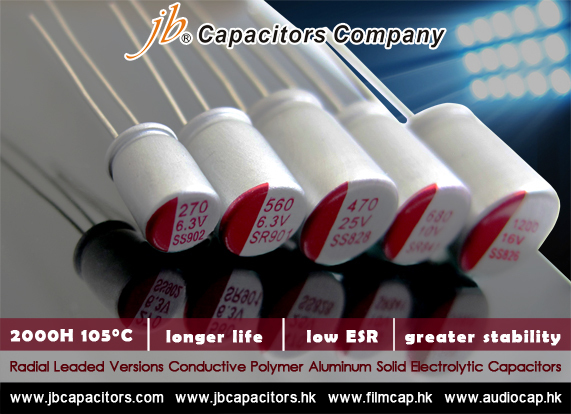 jb polymer solid capacitors have a number of qualities superior to ordinary electrolyte capacitors: longer lifetime, higher maximum working temperature, better stability and a much safer failure mode. These qualities come at a price of lower maximum voltage rating and a narrower capacitance range, as well as a higher cost compared to wet electrolyte capacitors. They have been used in many applications including server motherboards, computer graphic accelerator cards, especially in devices with flat or compact design.